Death squads, murder capital of the world, gang violence, children fleeing their home country for the U.S. These are what Americans heard in the news about the Central American country of El Salvador in summer 2014. But it isn’t the only story. I heard another one in September 2014, a much more positive one, from a former humanitarian aid worker from Delaware, Ron Brenneman. Ron was in the Albuquerque, New Mexico area for fund-raising and speaking engagements about the Amún Shéa School in El Salvador that he founded. I was lucky to speak with Ron privately for an hour and also attended his presentation at our local Peace and Justice Center. I learned a lot about his projects and about El Salvador that I thought would make an interesting blog. El Salvador is a small country with a total population of 6.3 million, making it the smallest and most densely populated country in Central America. About 83% of the population is Mestizos, of European and Indigenous American descent. Bordering the Pacific Ocean, the mountainous country was formerly dependent on coffee as their main export (90%), today their economy is more diversified. 50% of the population lives in rural areas and 50% are urbanites; those living in small, rural villages are mostly subsistence farmers who also raise cash crops such as coffee. El Salvador’s capital and largest city is San Salvador. Ron Brenneman made his way to El Salvador in 1983, as an aid worker at a refugee camp helping those displaced during the brutal Salvadoran Civil War (1979-1992). The war that eventually led to 75,000 civilian deaths was between the military-led government and a coalition of five left-wing guerrilla groups. The war lasted for over 12 years, and saw extreme violence from both sides, but most violence came from the military. The United States contributed to the conflict by providing large amounts of military aid to the government of El Salvador during the Carter and Reagan administrations. In 1990, the UN began peace negotiations and on January 16, 1992, a final agreement was reached. After his stint as an aid worker, Ron was a business owner and in 2007 he founded the Amún Shéa Center for Integrated Development, an innovative school located in a rural, mountainous region of El Salvador. The school has 75 students in grades k-9, and adds a grade every year. He called the curriculum an enhanced traditional curriculum that uses a PBL (project-based learning) approach in which the students apply their knowledge from academic subjects to a real-life setting. For example, they use applied math skills to design their fish farm and vegetable garden so that water is conserved and plentiful and healthy food is harvested. He firmly believes that separating education from development is a disaster. He cites the fact that the local college graduates plenty of administrators and lawyers but not enough plumbers and electricians. The public education system in El Salvador is severely lacking in resources. Class sizes in public schools can reach 50 children, so Salvadorans who can afford the cost often choose to send their children to private schools, which are more expensive. 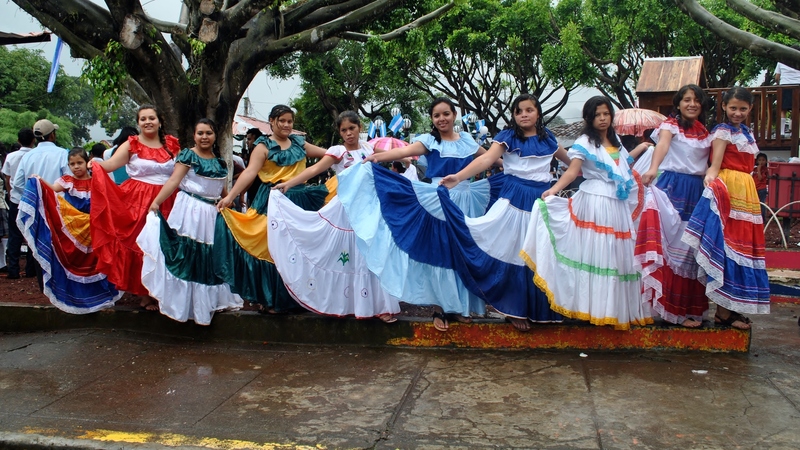 Education in El Salvador is free through high school. After nine years of basic education, students have the option of a two-year high school or a three-year high school. A two-year high school prepares the student for transfer to a university. A three-year high school allows the student to graduate and enter the workforce in a vocational career. 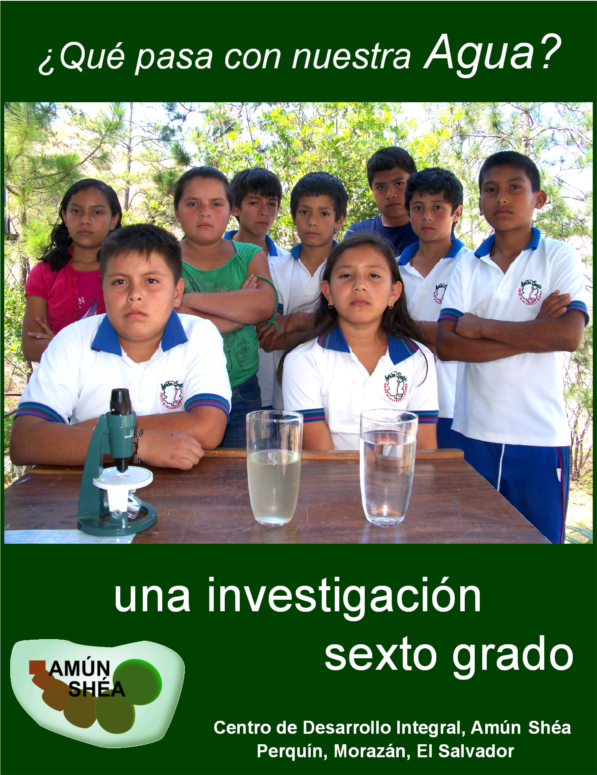 Amún Shéa has a unique approach to education. The goal of the school is to change the attitudes of students from passive to active. 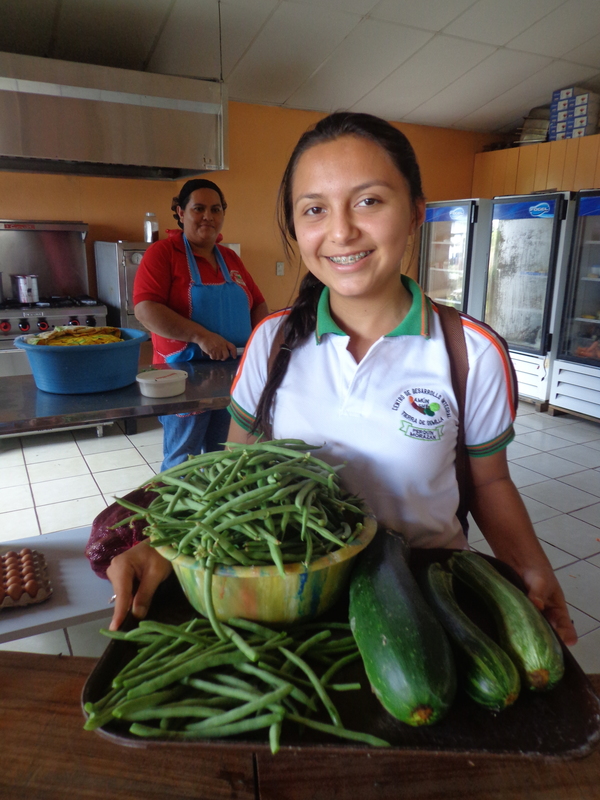 Each student creates a business plan which guides their education, whether it is in solar energy, aquaponic farming, traditional foods and medicine, or computer programming. Ron thinks students are born entrepreneurs and school is a good place to test these skills. 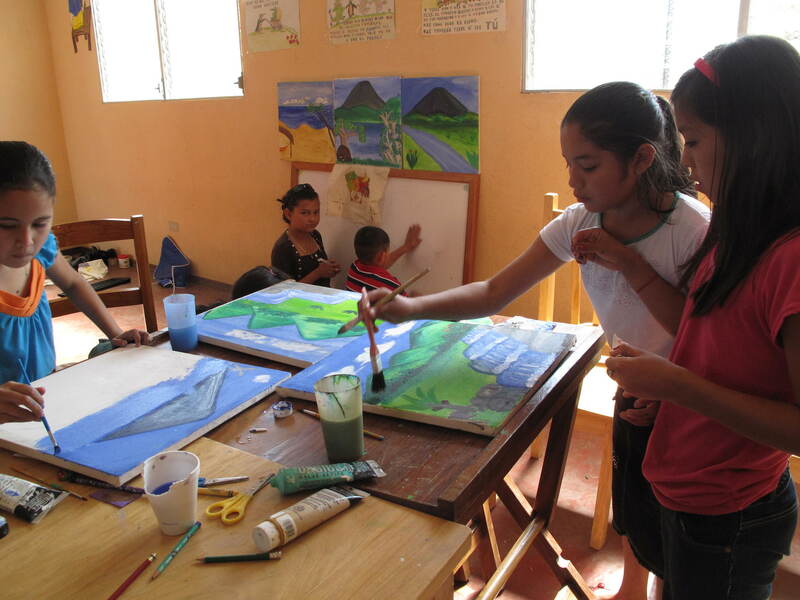 One ambitious goal of the school is to break the cycle of poverty and the break-down of El Salvadoran society. Ron sees broken families because of war, immigration, loss of traditional ways, and unemployment. He sees that change is already happening; students are breaking out of the status quo. Many visitors to the school don’t recognize it as a school. It sits on 22 acres of land, donated by a local businessman. Students share their time in academic classrooms and working on projects. They have organized their academics into modules, such as a topic on immigration and a different one on farming. But also use a hands-on approach to learning, whether it is tending the organic garden, programming computers, or fine-tuning an aqua-agriculture project. Climate change and resulting drought have hit El Salvador, and the school has responded by working on several projects to improve local water systems and conservation methods for irrigation. Ron and the school are intent on developing the local area in Morazan. They feel it is necessary to create opportunity for local residents in order to stem the tide of immigration to the United States. Immigration has skewed the population distribution of the country, with many in the 16-50 year old age group leaving, and the young and old staying. This creates problems in developing the country. I was very impressed with Ron’s commitment to the people of El Salvador and the school. He now calls it home and is married and has a family in Morazan. For schools wanting a project to help other schools in need of funds, support, and exchange, to me, the Amún Shéa School would be a wonderful project! In developing countries, what do you think is the best approach to education? Thank you, Jeff. Ron needs more friends like you.